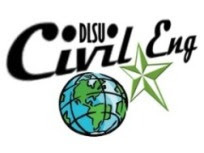 De La Salle University, Manila - The Civil Engineering Department started a program aimed to improve the performance of the graduates in the CE Licensure Exams.The program was dubbed “CIV Pre-Board Exam 101” where “101” represents the target of the Department which is 100% passing percentage and No. 1 CE school in the Philippines. In this program, diagnostic or pre-board exams on the three areas of the CE Board Exam are given on three Saturdays for those taking the OJT and other alumni who have not taken the board exam yet. This is done twice a year before the November and May Exams. An exit interview is also given on the fourth Saturday when the results of the exam are presented. The second phase of the program was held on February 22, March 8 & March 15, 2014. Last March 22, 2014, the results were announced and an exit interview c/o University Counselors from the Office of Counseling and Career Services (OCCS) was held. Before the Exit Interview, Engr. Jason Maximino Ongpeng, CE Chair, welcomed the students and presented them the historical data of the previous Civil Engineering Board Exams. 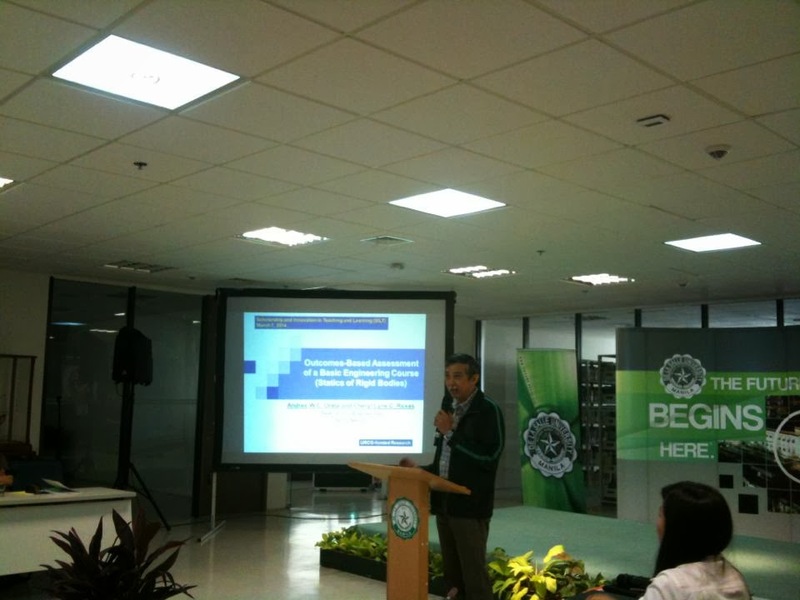 He also cited the goals of the department regarding the board exam. 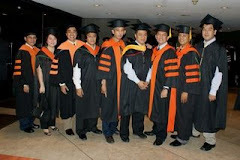 Subsequently, Engr. Irene Olivia Ubay-Anongphouth (over-all coordinator of the program) presented the results of their recent diagnostic exam, these results were compared with the previous batch that took the same test. 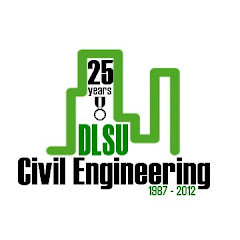 Both faculties mentioned the recent news citing De La Salle University – Manila being the Top Civil Engineering School. 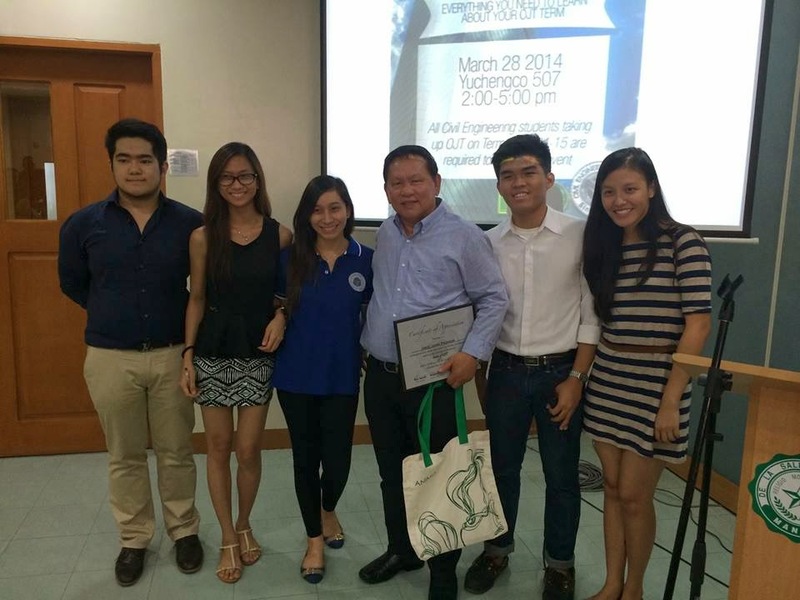 The department invited also notable alumni, Engineer Paolo Ian Lucero and Engr. Marabelle Del Prado, to give tips to the graduating students before taking the Board Exam. The Civil Engineering Society (CES) organized a seminar for the senior students who will undergo the Practicum or On-The-Job-Training (OJT) next academic year as part of the requirements for the BSCE program.The “Secrets of OJT” seminar organized by the Civil Engineering Society (CES) was held last March 28, 2014. One of its objectives is to prepare the students in their upcoming practicum or on-the-job training program in the different companies of their choice. It is also aimed to provide students with options and future opportunities. Almost a hundred students attended the said seminar. Nine notable speakers from leading construction companies, consultancy firms and government agencies were invited. The speakers offered tips on how to make the OJT a fruitful and enjoyable one. They also showcased their companies and the benefits that the students can gain from their internship program. Usec. Jaime Pacanan from the Department of Publics Works and Highways and Engr. 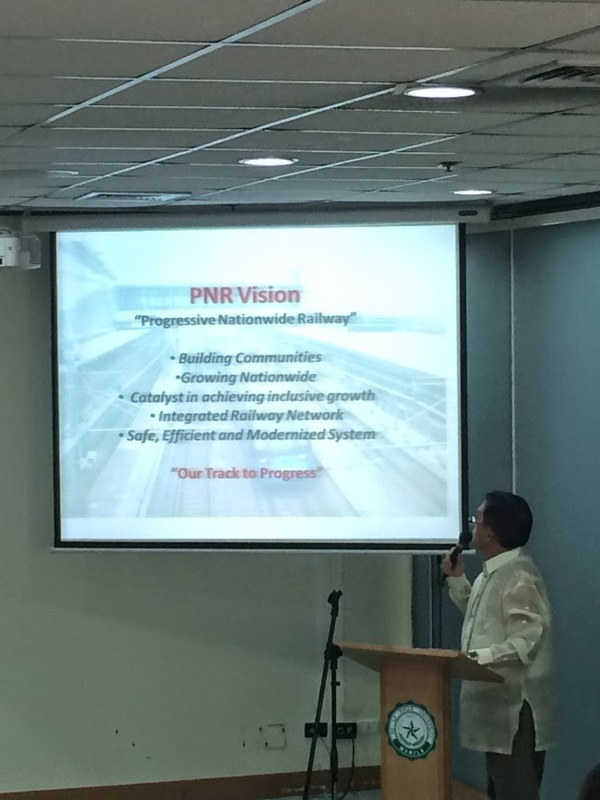 Joseph Allan Dilay, the General Manager of the Philippine National Railways spoke about working in the government. They discussed specifically the “cadet engineer program” being offered to prospective Civil Engineering graduates. This program aims to shape and train the engineers for the future. On the other hand, Engr. Jerome Evangelista (Getinsa Engineering), Engr. 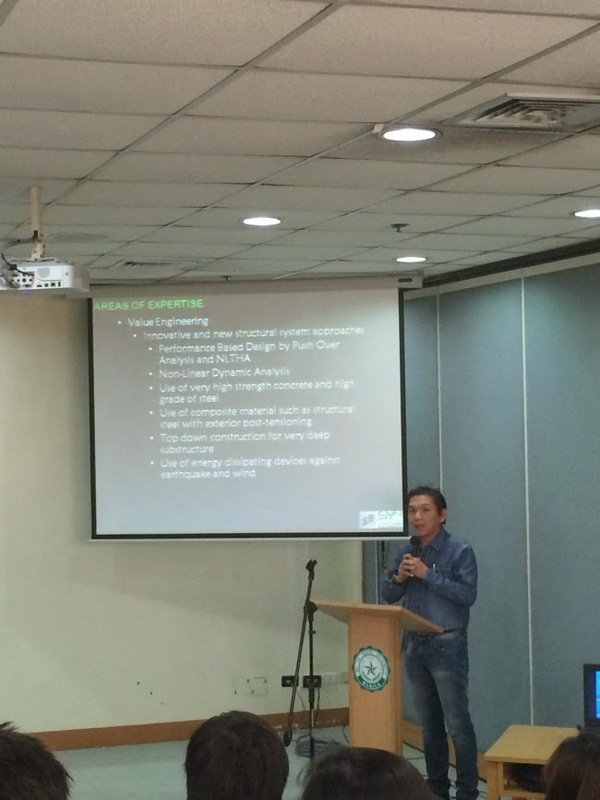 Rodolfo Mendoza (Maynilad), Engr. Jose Sy. (Sy2 + Associates), Engr. Rommel Ondong (Megawide), Engr. Hanson Reyes-Lao (Megawide), Engr. Adrian Calimbas (DMCI Homes) and Ms. Teresa Tiongson (DMCI) were the other speakers coming from different established and top companies in the Philippines. 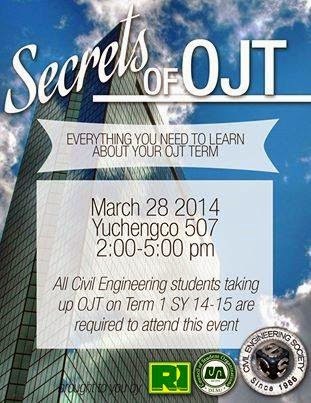 All of them talked about the usefulness and benefits of OJT not only in their company, but in general. Procedures of the application for internship program in their respective companies were also discussed. Most importantly, speakers emphasized the skills that the students should acquire to maximize their time in learning new experiences. Paul Bidol - BSMS (CTM Major). The paper by Paul Bidol et al was selected as one of the Best Paper in the Conference. CSEB2014 was organized by Universal Association of Computer and Electronics Engineers (UACEE), Universal Association of Mechanical and Aeronautical Engineers (UAMAE), Universal Association of Civil, Structural and Environmental Engineers (UACSE) which are associated networks of Institute of Research Engineers and Doctors (IRED). The conference aimed to facilitate and promote exchanges in scientific information, and collaboration between researchers and engineers all over the world. The conference also aims to help build long-term, resourceful and sustainable communication amongst researchers and practitioners working in a wide variety of scientific areas. The conference had received papers for review from over 45 countries including Algeria, Australia, Bangladesh, Brazil, Brunei- Darussalam, Canada, Colombia, Egypt, France, Germany, Greece, Hong Kong, India, Indonesia, Iran, Ireland, Jordan, Korea, Kuwait, Lebanon, Malaysia, Morocco, New Zealand, Oman, P.R. China, Pakistan, Saudi Arabia, Syria, Singapore, Spain, Sri Lanka, Sweden, Taiwan, Tunisia, UAE, United Kingdom, and USA. The program committee had gone through a rigorous process of review in order to select research articles for presentation in the conference and for publication in SEEK Digital Library. Papers presented in CSEB2014 will be published by the IRED Conference Publishing System and it will be made available in the Seek Digital Library. The researches will also be submitted for indexing in all major indexing services such as DBLP, IET Inspec, Scopus, EI Compdex, Google Scholar and Proquest. The papers will also be published in international journals with ISSN numbers. The delegates doing the ASEAN handshake! Engr. Irene Olivia Ubay – Anongphouth, an Assistant Professor of the Civil Engineering Department from the Gokongwei College of Engineering of De La Salle University, was selected by the Royal Thai Embassy – Manila as one of the representatives of the Philippines to the Thailand Visitor’s Programme 2014 (TVP 2014) held last February 23 to March 1, 2014. Said program is a professional exchange program that seeks to build mutual understanding between Thailand and other countries. Delegates from ASEAN countries, in addition to Japan and the Republic of Korea, were young and promising leaders from the media, government, academe, and private sectors. Engr. 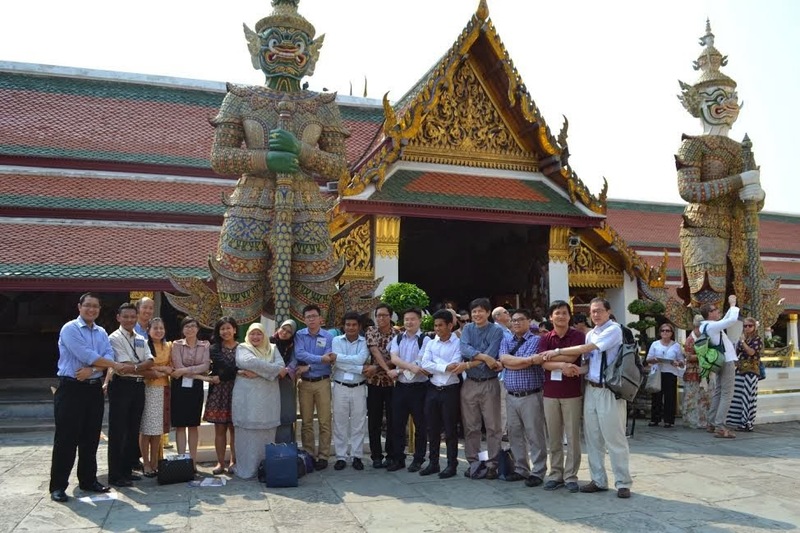 Ubay – Anongphouth, with the other delegates, attended briefings to learn about Thailand’s policies on governance and economics. Furthermore, active discussions were made regarding the role of Thailand in relation to its neighboring countries on the upcoming ASEAN 2015 movement. Strategies regarding improving cultural, education, infrastructure, and economic connectivity within the ASEAN community were also presented. 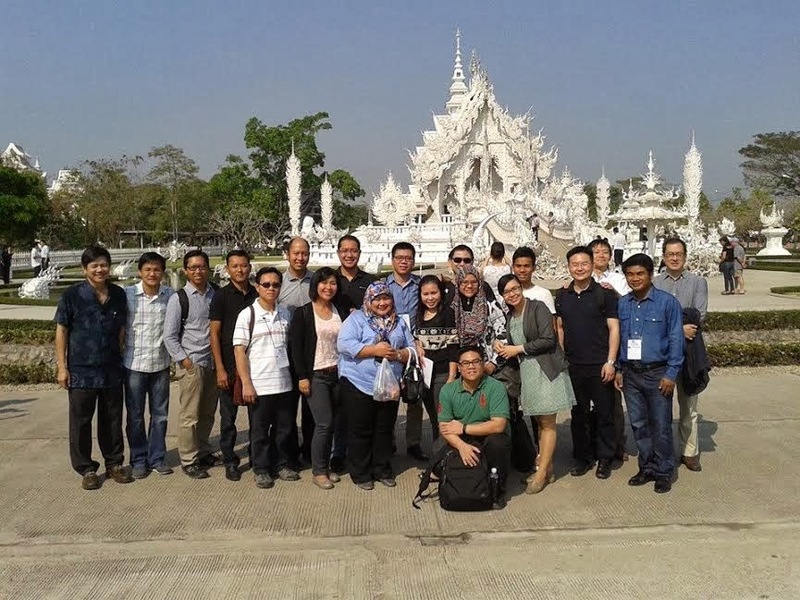 Visits to The Nation Group, Nakorn Luang Rice Factory, and Chiang Khong Customs House allowed participants to witness the host country’s media, business, and customs practices, respectively. 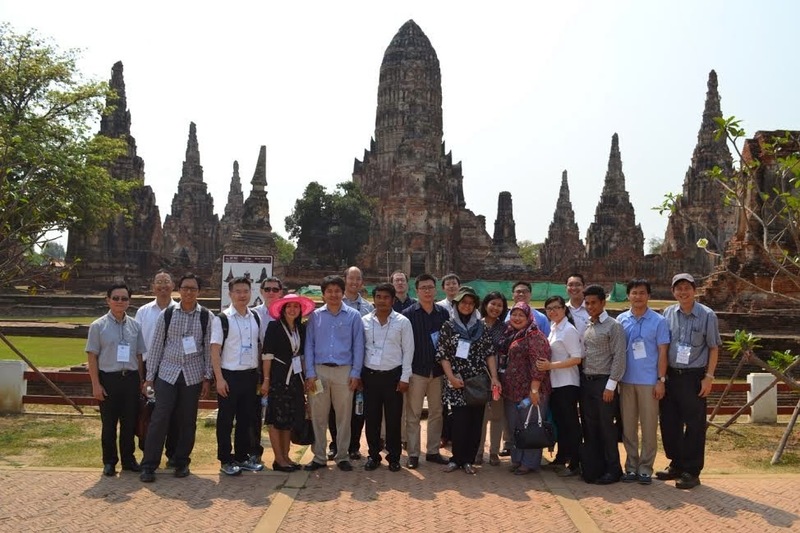 Cultural immersions were also organized in Bangkok, Ayutthaya and Chiang Rai. De La Salle University-Manila, Philippines – Professor Soichi Hirose of Tokyo Institute of Technology specializing in the numerical scattering of elastic waves, simulation of wave propagation and ultrasonic signal processing, delivered a lecture on Non-Destructive Testing of Reinforced Concrete last March 10, 2014, Monday, at Yuchengco Seminar Hall (Y508). Currently, Prof. Hirose he is the President of the Japanese Society for Non-Destructive Inspection (JSNDI). 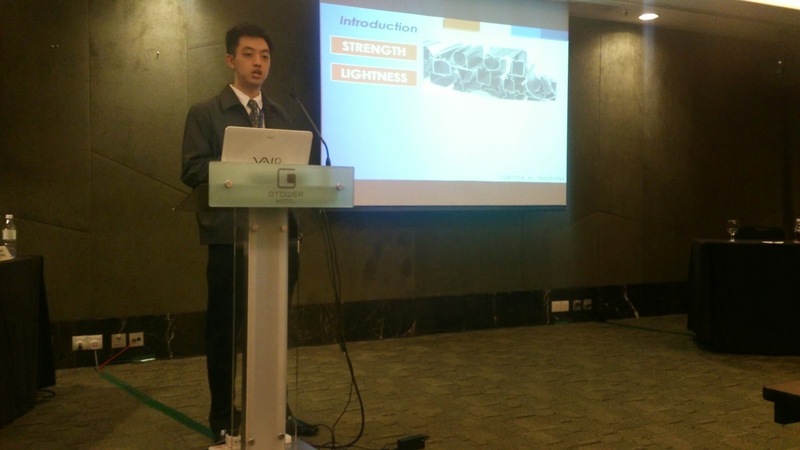 He presented various methods on non-destructive testing, especially on reinforced concrete structures. On his lecture, he discussed the development of the 2-D and 3-D time-domain Boundary Element Method for air-coupled utrasound testing, furthermore, he also presented the conduction of 2-D and 3-D simulation for air-coupled ultrasound testing using Rayleigh waves. He recommended to design an experiment that will incorporate the results of the numerical simulations and to develop a numerical method for inverse analysis. Prof. Hirose is supporting the research initiatives of Engr. 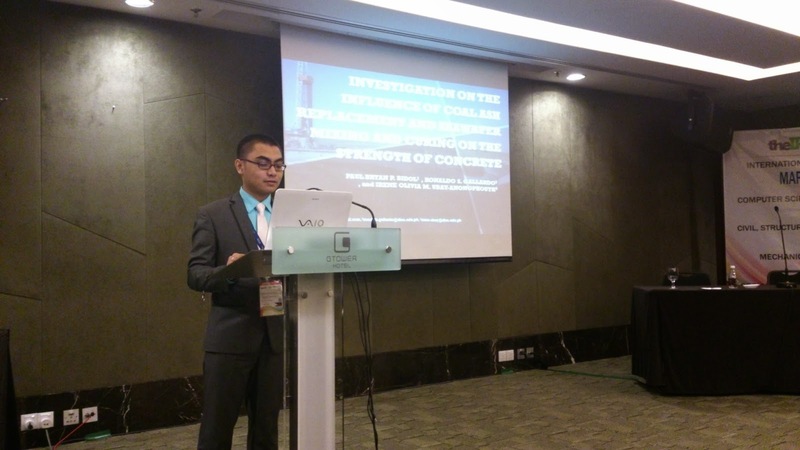 Ongpeng and the Department on NDT of concrete structures. Undergraduate thesis on NDT were also presented to get feedback from Prof. Hirose. 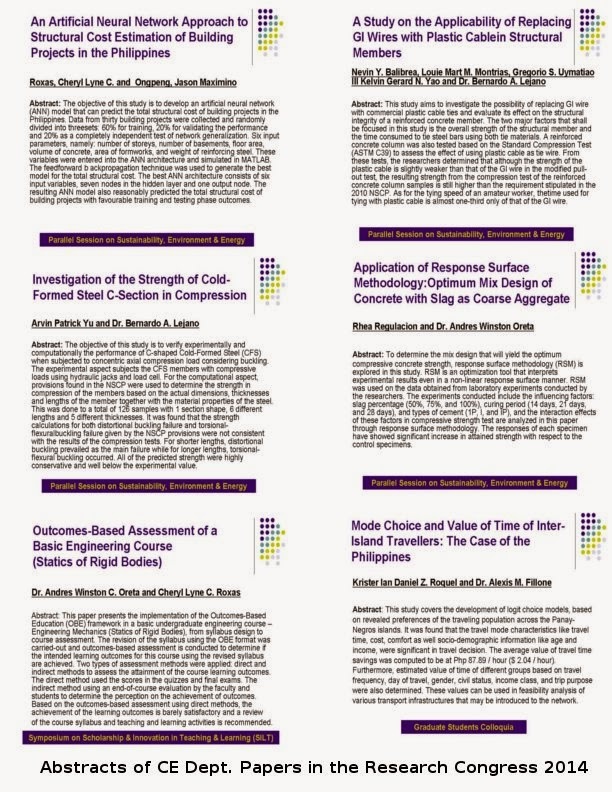 - Reported by Joenel G.
Faculty and students of the Civil Engineering Department presented thier researches during the DLSU Research Congress (RC) 2014 with the theme, "Towards Rigorous, Relevant and Socially Responsive Lasallian Research" held on March 6-8, 2014. In the parallel session on Sustainability, Environment and Energy, four paper were presented. A symposium on Scholarship and Innovation on Learning and Teaching (SILT) was also held during the RC2014 on March 7. Dr. Andres Oreta presented the paper, "Outcomes-Based Assessment of a Basic Engineering Course (Statics of Rigid Bodies)." The paper is based on the URCO research conducted with Cheryl Lyne C. Roxas. Dr. Oreta presents a paper at the SILT Symposium. In the Graduate Students Colloquia held on March 8, the paper, "Mode Choice and Value of Time of Inter-Island Travellers: The Case of the Philippines" by Krister Ian Daniel Z. Roquel and Dr. Alexis M. Fillone was presented.